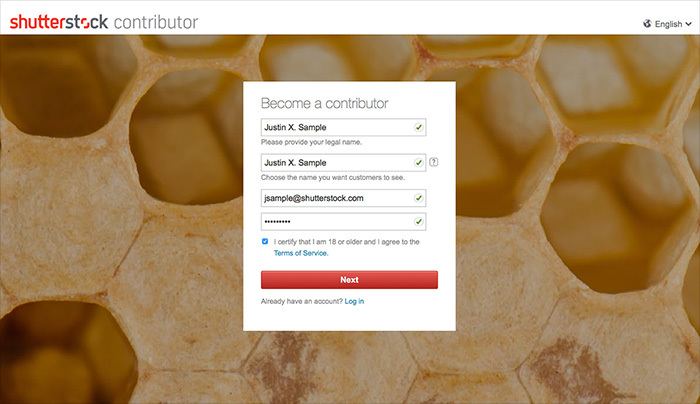 Becoming a contributor at Shutterstock is simple! Register in a few simple steps, then start submitting content. 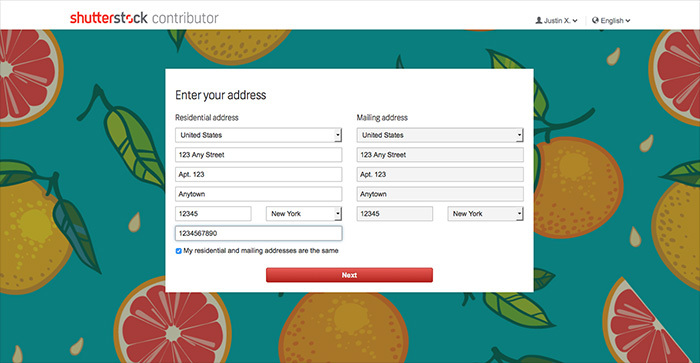 To sign up for a Shutterstock contributor account register at submit.shutterstock.com. 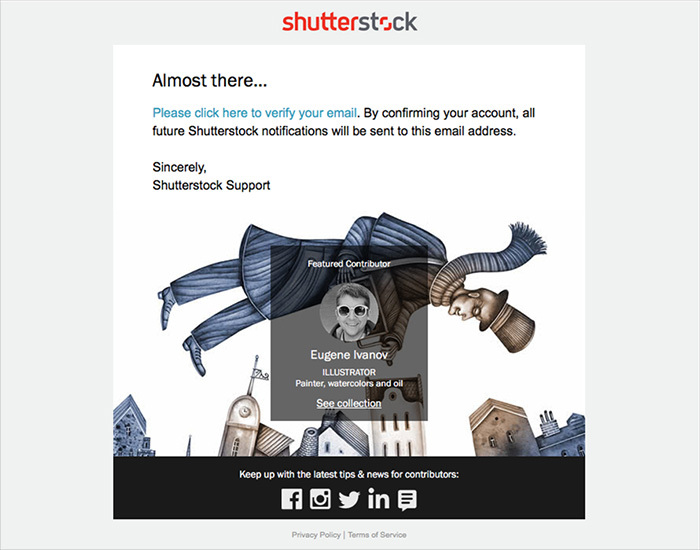 This is the site made specifically for our contributors, our customers use Shutterstock.com. To register, you’ll need to provide some basic personal information and verify your email. You are welcome to create a free browse account on our customer site as well, but you can submit content only through your contributor account on submit.shutterstock.com. On the first page, enter your full name, display name, and email address. Your full name should match your legal name or your business name if you are registering as a business. Your display name is what customers will see. Your e-mail address is where we will contact you. That’s it, you’re done! You can now explore your account dashboard, and start uploading your content! To become an active Shutterstock contributor, you will initially need to submit a few of your best photos, jpeg or eps illustrations, or a few video clips for your first submission. The content you submit will be reviewed by our expert team of reviewers. When your first piece of content is approved, your account becomes fully active and you can submit any type of files without limitation. Please keep in mind that you may only upload work that is owned or fully controlled by you. If none of your works are approved the first time around, don’t get discouraged and try again!